For many job shop or make-to-order manufacturing shop owners, knowing which jobs made them money during the month is critical information. Yet, even today, many shop owners or accountants can’t tell you which of the jobs they ran were “winners” and which were “losers.” This is often because they are running their business with an accounting system that does a great job of keeping track of the cash and recording the revenues and expenses and generating standard accounting reports like income statements and balance sheets. 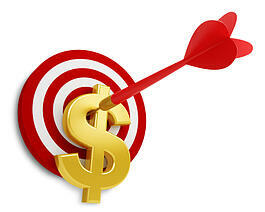 However, these same accounting systems may not do such a great job of manufacturing job costing. 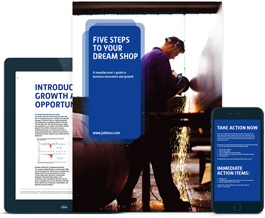 Accurately capturing the cost of manufacturing in a job shop can be a challenge without the right shop floor management software that can capture direct labor, overhead, material and outside service costs in real time. Many small shops may try to capture this data manually on spreadsheets, or on the back of the traveler or shop paper, or other methods which are characterized by duplicate data entry and prone to mistakes. In addition, these methods often don’t provide the data in real-time for real-time decision making. Often times, this data is reviewed only sporadically (if at all) and generally only can provide a “rear view window” look at the job since the data often is accumulated or updated only at the end of the job. With the right shop floor management (ERP) solution tightly integrated with an accounting solution, owners and financial personnel can have real time visibility to make proactive decisions BEFORE the job even runs over cost. These early alerts, triggers, or information can mean the difference between a job coming in on target or well below expectations. 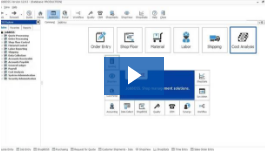 As shop owners or financial staffs review the many types of job shop software solutions on the market, what are the main things that should be considered important for a job shop as it relates to job costing? Because each job is often unique or “one-off” for a job shop, a costing system based only on using standard cost or comparing variations to standard often will fall short. In fact, in many shops where they might only run a part once, there are NO standards and often only rough guess at what the estimated cost may be. Especially in these types of shops, where estimates may not be 100% accurate, a custom manufacturing software system to gather the true cost in real time and extrapolate projected costs based on actuals posted to the job to date will be critical. Shop owners in a job shop type of environment need a system which can post actual costs to the job in real time and seamlessly integrate the data (back and forth) to the accounting system. In short, job shop owners need one integrated solution—quote to cash. If you are a job shop owner and evaluating systems that will streamline job costing, ask yourself five simple questions. If the solution cannot adequately answer “yes” to each of these five critical questions, you may be looking at the wrong solution for your type of shop. Can labor costs be captured to the job reflecting the true cost of the employee who worked on the job with the additional costs factored in for labor overhead (fringe benefits), machine or manufacturing overhead, and sales/general/administrative overhead? Can material that is purchased directly to the job be costed to the job at actual material costs including all of the costs associated with transportation and logistics? Can material that is purchased to inventory be traced through inventory and issued to the job and the true actual cost (rather than standard, average or some other methodology)? Can outside service cost be posted directly to the job upon receipt of the invoice from the vendor along with the costs associated with transportation and logistics? Can ALL of these cost types be tracked directly to the job in real time through up-to-date devices that are easy to use by the shop floor personnel? As margins are being squeezed and your customers are demanding price reductions, knowing your true costs for each and every job is critical. Shop owners cannot adequately make sound business decisions without this data available at their fingertips at a moment’s notice and a simple accounting solution often doesn’t provide the data necessary to make these critically important business decisions.To learn more watch our short Job Costing video.